Merrillville Personal Injury Attorneys | Auto Accidents, & Workers Comp | Schlyer & Associates, P.C. Consistently successful results. That is our goal at Schlyer & Associates, P.C. where our office is a special place, and we save our abundant strength for the courtroom. When you come to us, you are welcomed by our friendly staff that includes a service dog, Jillian. If you need help with an injury-related claim, we have a physician on staff that can evaluate you and confirm you are getting appropriate medical help. Are you facing major financial challenges? We listen to you and give you options through bankruptcy. If you seek the aviation-related law, you are in good hands with our experienced pilot–attorney. Since 1988, we have solved legal challenges for your neighbors, and we have plenty to offer you. What makes us special? We are aggressive trial lawyers who know Illinois law! Personal injury perks: A physician and service dog on hand. Our in-house counsel includes a family physician who helps us evaluate and prepare your personal injury case. He makes sure you are getting proper medical attention. Jillian, our office service dog, offers you comfort. A team effort. We take a team approach to our cases. When you ask Schlyer & Associates, P.C. to help you, our entire office pitches in with hard work and dedication. Service in Indiana and Illinois. We are licensed in Indiana and Illinois (as well as Georgia and Michigan) and understand that we can provide small town-service to big city needs. We serve clients from Merrillville, Portage, Valparaiso, Crown Point, Hammond, Lake County, and Porter County and are happy to help with incidents in greater Chicago. Dedication and success. We believe that hard work pays off, but so do honesty and dependability. We pride ourselves on our successful record. Personal injury law — We motivate ourselves to get full compensation for various kinds of personal injury accidents, such as falls, products that break and hurt you, workers’ compensation, medical malpractice and wrongful death. Vehicle accidents — As experienced litigators and we know the tricks of the insurance trade. Our firm stands up for the injured in auto accidents, trucking accidents, motorcycle accidents and aircraft accidents. We also help the most vulnerable in pedestrian and bicycle accidents. Aviation law — Few local firms focus on aviation law. For us, it’s a passion. Not only do we have an attorney with both a commercial and private pilot’s license, he also has an airline mechanic’s license. We defended pilots and have done work related to the FAA and NTSB. If you have an issue within the industry, we have the capability to help. Bankruptcy — We provide effective and straightforward help to get you back on track and answer your questions. At Schlyer & Associates, P.C. 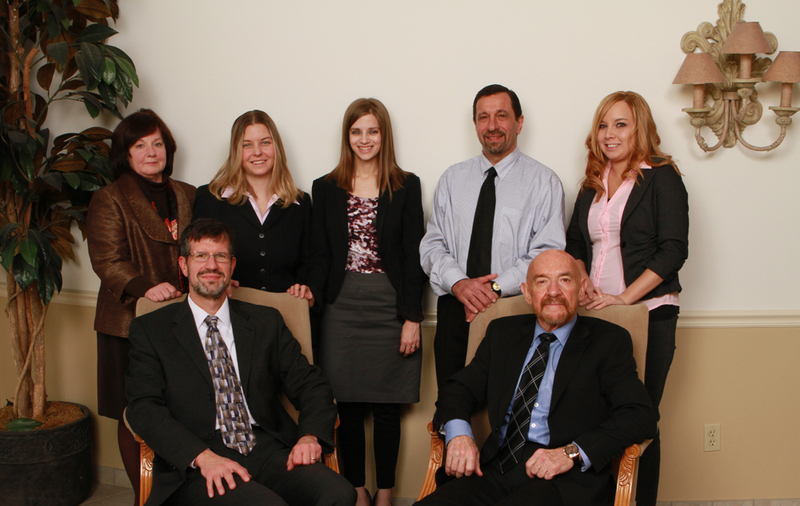 our entire team fights for your compensation when you are recovering from a personal injury. Call us at 219-757-0225 or contact us online for a free consultation so we can discuss how we can help you. We are open Monday to Friday from 8:30 a.m. to 5:00 p.m. CST. Our office is conveniently near I-65 and US-30. Our bilingual staff looks forward to hearing from you.